We choose to focus most of our care on prevention because it’s much easier to stop a dental issue before it starts rather than have to fix it later! 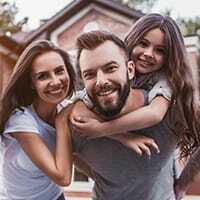 With just two short appointments each year, we can ensure that your family will have healthy, clean smiles that you’ll never have to worry about. Plus, this approach will also keep your dental care costs nice and low! To learn more about all the ways we can safeguard your smile, simply read on below, or contact us today to schedule an appointment. Checkups and cleanings are the primary ways we help our patients avoid preventable dental problems such as tooth decay, cavities, gum disease, and more. With a dental cleaning, one of our highly-skilled hygienists will use specialized tools to clear away any plaque and tartar on your teeth and gums, particularly targeting those areas your brush and floss can’t reach. 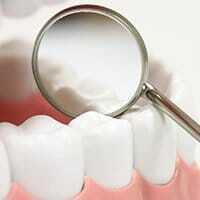 Then, with a checkup, one of our dentists will examine your mouth looking for the slightest signs of dental issues. Should they find something, they’ll be able to quickly treat it before it can harm your smile. We just love taking care of Altamonte Spring’s littlest smiles! Early-age dental appointments are key to making sure your child’s smile develops correctly and stays healthy as they grow. We have child-friendly treatments such as dental sealants and fluoride treatments to keep their teeth strong, and we’ll also teach them dental care basics to make it easier for them to start practicing healthy habits at home. And, our team will always go out of their way to ensure your child is comfortable whenever they come to see us. The rough chewing surfaces of the back teeth tend to be the most common place for cavities to develop, especially for young children. To give their smile a little bit of extra protection right where they need it, we can apply a thin, clear player a plastic-based substance to these teeth called a dental sealant. It will create an invisible barrier plaque and food particles cannot penetrate, effectively blocking these teeth from both tooth decay and cavities. Periodontal therapy is a collection of treatments specifically designed to help patients suffering from gum disease, which is actually the most common dental problem in the entire world. Early symptoms include red, swollen, and tender gums that tend to bleed easily, and it can eventually lead to tooth loss and an increased risk of heart attack and stroke! We’ll screen your gums whenever you come to see us, and should we spot any signs of an infection, we can use both a scaling and root planing treatment (a deep cleaning) and antibiotic therapy to restore your smile to optimal oral health. Bruxism is a very common condition where a person unconsciously clenches their jaw and grinds their teeth, and for most, it usually occurs while they are asleep. This can severely wear down the teeth and even cause them to break over time. 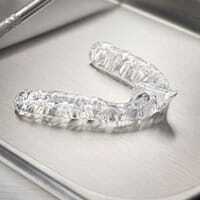 To combat this sneaky problem, we can provide you with a custom-made oral appliance called a nightguard. You’ll only need to wear it to bed, and it will provide a comfortable protective barrier between the teeth that will prevent them from grinding together. Oral cancer is an often fatal disease that is actually very treatable when detected early, which is exactly why the American Cancer Society recommends that everyone should have at least one each year. Our dentists can perform a screening as part of your regular dental checkup to make sure you’re never caught off guard by this disease. It only takes a few minutes, during which they’ll examine your lips, gums, tongue, cheeks, throat, neck, and face for any signs of precancerous or cancerous tissue. Should they find anything, they can help you take quick and appropriate action. Fluoride is a little gift from nature to your smile. When consumed, it actually strengthens the teeth against both tooth decay and cavities, which is why you’ll find it in most toothpastes and public water sources. To keep your family’s smiles healthy between appointments, our team is happy to provide a highly-concentrated fluoride treatment for adults and children alike. It only takes a minute or so, and it’s one of the best ways we can keep a smile bright all year.